Our Cedar Park office almost had a new mascot. 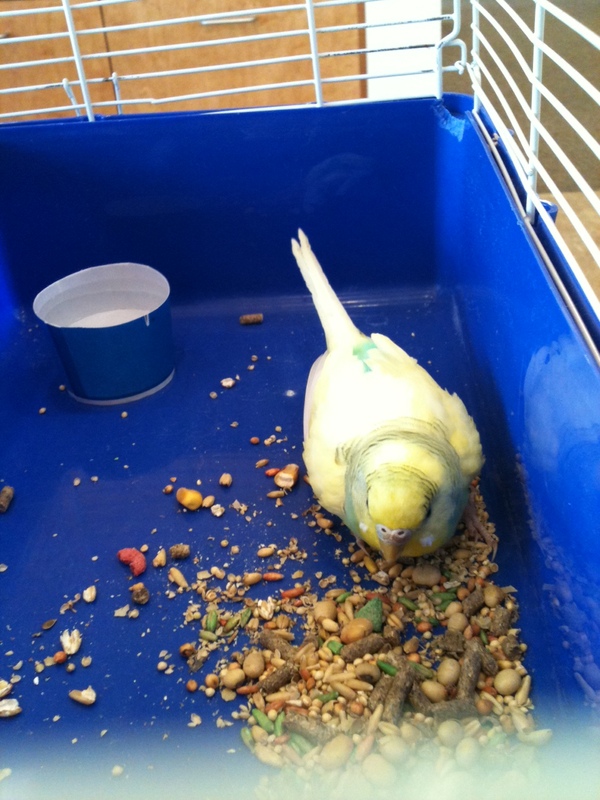 “Tweet” the baby parakeet was near death when one of our agents found it in the parking lot. Thanks to the quick work of several of our agents we were able to corral it into the office, get it a cage, food and water, and proceed to start rehydrating and calming the poor little thing down! One of our agents called her friend affectionately called “The Bird Lady” to come pick it up. “Tweet” is with The Bird Lady who takes care of rescued birds; she apparently has contacts through the bird network and will work to find its owner. She said we saved it just in time; it would not have lasted much longer since it was suffering from dehydration and starvation.